The Vice President of Community Projects serves as chair of the Community Council, prepares project contracts, and presents the contracts to the Board of Directors approval, assists in preparing Project Proposals for returning projects, assists Community Research Chair to present proposed projects to membership, and in planning and implementing a Community Advisory or Sustainer Forum. Admitted into active membership in 2009, Luby attended ODI in Seattle in 2015, and her past placements include Project 2013, the Family Resource Center JLEP at El Paso Children’s hospital, the Membership Care committee, Nominating committee and the Training, Education and Development committee. She has served on Board and Council, as Nominating Chair, and Provisional Chair, and the Executive Board as VP of Communications. Luby is has been a pediatrician in private practice since 2009 in El Paso. She was born in Houston, raised in Dallas, and attended Richardson High School, graduating with a Bachelor in Business Administration from Southern Methodist University, where she served as Co-Chair of the Women’s Symposium, and VP of Recruitment on the Panhellenic Council. She is a member of Gamma Phi Beta sorority. 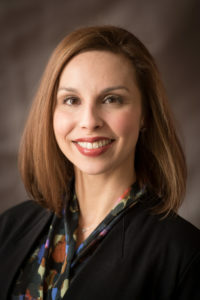 She received her doctorate in medicine at the Texas Tech School of Medicine, and completed her pediatric residency at UT Southwestern Children’s Medical Center in Dallas, where she memorably volunteered with the victims of Hurricane Katrina. Luby has been married for over ten years to Mario Nutis, an Ob-Gyn, and they enjoy working together at the hospital treating mother and baby. They have an amazing son, Nicolas, and dog Coco. Luby has a keen interest in JLEP’s new area of focus, mental and physical health. Her favorite thing about the Junior League is the fostering the growth of women, whether through new leadership experiences, the variety of training opportunities within League and getting to know the El Paso community through volunteerism. She is proud to represent JLEP as a VP for the incoming year!